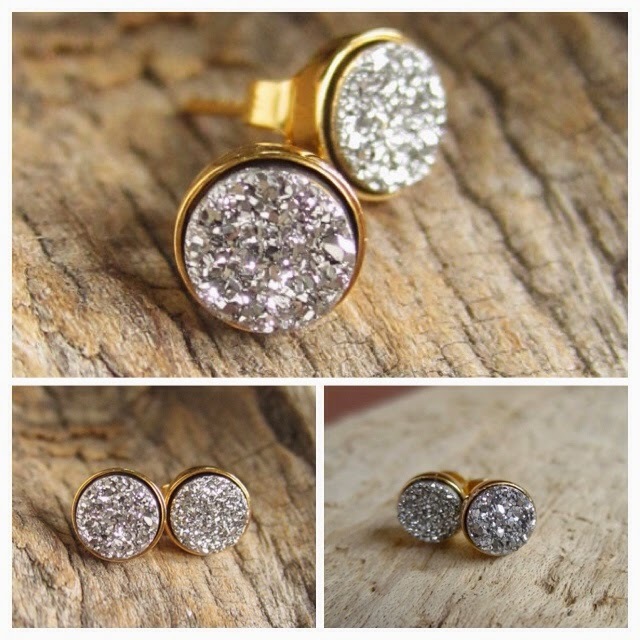 Stay gorgeous while being low profile with Titanium Drusy Quartz Studs! These silver druzy quartz stones are bezel set in gold vermeil ear posts with backs. USD$55 from JulianneBumlo.